Jay-Z in Montreal or Quebec City? 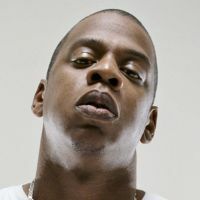 Inform me about the next events for Jay-Z. Enroll yourself to our priority waiting list for Jay-Z to be alerted when new tickets are available. Filling this form doesn't engage you to any purchase. Jay-Z will be touring this Fall, and he will be performing at the Bell Centre, in Montreal, on November 21st, 2017 ! With a new album now available, 4:44, Jay-Z is back ! The American rapper, and husband of Beyoncé, will be touring throughout North America from October 27th to December 21st. Don't miss Jay-Z' first concert in Montreal in over 4 years !